Bundaberg Ginger Beer is the latest Australian company to become a huge success in the United States. Bundaberg Brewed Drinks is traditionally known for its ginger beer but also produces and sells a large variety of other soft drink flavours. According to a Nine News report, Bundaberg Ginger Beer is now the highest selling ginger beer in California. The company, which is still based in Bundaberg, Queensland, sold 15 million bottles of its drink in 2016, and the tremendous growth in its American sales is continuing unabated. 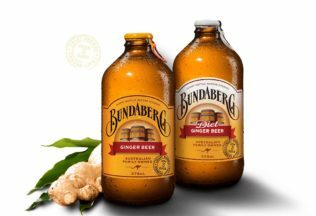 Bundaberg Ginger Beer took its first steps into the US a few years ago, selling just approximately 150, 000 bottles in its first year. Bundaberg drinks are being sold in American supermarkets and bars. Part of the drinks success has been attributed to the rise in popularity of the Moscow Mule in the US over the past few years. The Moscow Mule is a cocktail consisting of vodka, lime juice and ginger beer. They are being served in a copper mug which has had instant appeal to Americans. The Bundaberg Brewed Drinks company was established in 1960 by Keith Nielson but was purchased by the Flemming Family in 1968. The company has been exporting its beverages overseas since 2006, but the US is now its biggest overseas market. It exports to 31 other overseas countries, and the whole world now seems to be its oyster. The Bundaberg Barrel in Bundaberg is also a growing tourist attraction for international tourists as the fame of its drinks is spreading. The tourists are able to learn about the company’s brewing process and to taste and buy the full-range of its drinks.